I'm going to San Diego! 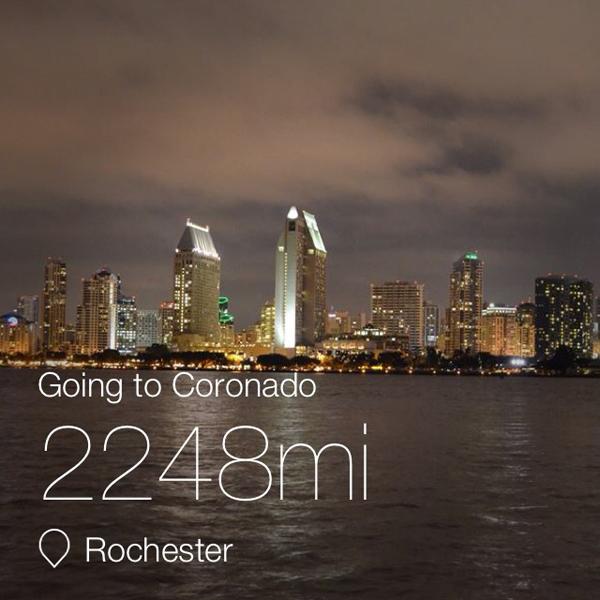 I tried to make a cute graphic for this post using Instaplace but for some crazy reason I couldn't find San Diego as a destination so I went with Coronado where we will technically be staying. There is a great view of San Diego from Coronado at least.